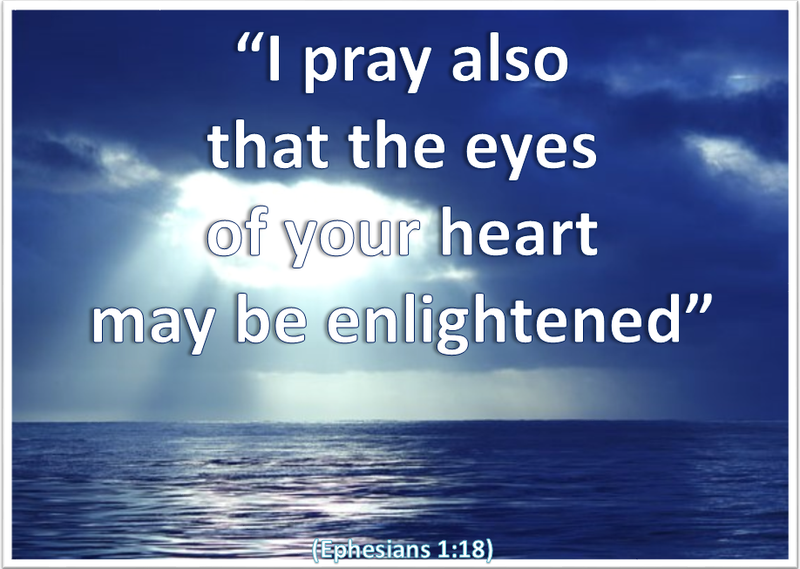 Paul prays not only that we might all know God better, but that we may know other things too. And for him this knowledge is not only that of understanding but of experience as well. He prays that we will know the hope to which God has called us. This is set out explicitly in the first few verses of the letter. It is a calling into Christ and the blessings God has provided, to holiness and blamelessness, to be adopted as His children, to rejoice in His lavish grace, to know His redemption in and through the Jesus, to receive the mystery of His will for all things under the headship of Christ and to live for His praise and glory. He prays that we may know the riches of His glorious inheritance in the saints. This points on to the final inheritance of which the Holy Spirit is the guarantee (14) – and which Peter describes as ‘imperishable, undefiled and unfading kept in heaven for you’ (1 Peter 1:4) As God’s children we are God’s heirs, and fellow heirs with Christ (Romans 8:17). One day by His grace the inheritance will be ours even although exactly what it will be like is beyond our capacity to imagine. He prays also that we may know His incomparably great power for us who believe. If God’s call looks back to the beginning, and God’s ‘inheritance’ looks on to the end, then God’s ‘power’ must surely span the period in between. Only God’s power can fulfil the expectation which belongs to His call and bring us safely to the riches of the glory of the final inheritance He will give us in heaven. Dear Lord may my faith not depend upon my feelings but my feelings come to rest upon my faith – give me this faith please Lord. Categories: Christianity, Daily Life, God | Tags: Daily Bread, Ephesians, Faith, Jesus, Prayer, Priorities, Scripture | Permalink.